I got up early on Saturday morning (20 Nov) in order to get a head start on the day’s birding but when I looked out the window I found light rain mixed with snow falling upon the street. I went to Iona anyway as the forecast called for clearing skies; I only had to endure fifteen minutes of light snow as I made my way down the south jetty before the weather began to clear. 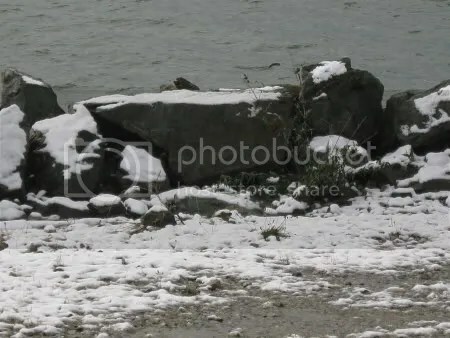 It was freakishly cold on the jetty as Vancouver is in the midst of an arctic front; the low temperature combined with a light breeze quickly numbed my gloved hands. One would certainly not have wanted to lick their tripod. Luckily my walk out there was worth it. Just before 1000 I found a Gray-crowned Rosy-Finch foraging along the grassy edges of the road that runs next to the sewage outflow pipe. It was nearby the 3.0km mark when I first sighted it. Seeds form a large part of this species’ diet and this particular bird was quite adept at stripping what little grass and weeds there are on the jetty of theirs (1). The bird slowly made its way down the jetty as it fed and I followed it until we reached the 3.5km mark; here the bird turned back and I continued to the jetty’s end. 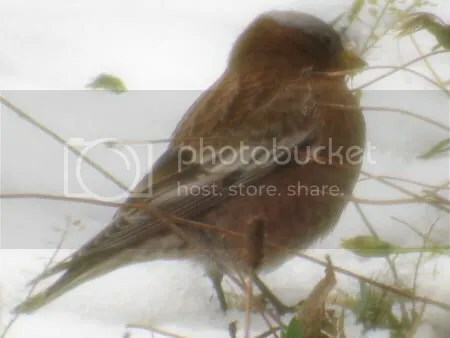 Around Vancouver Gray-crowned Rosy-Finch normally inhabit alpine environments but they may descend to lower elevations in winter; particularly during inclement weather (1). 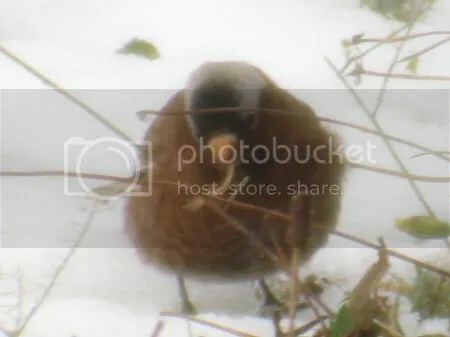 The snowfall on the North Shore Mountains combined with the frigid temperatures may have been enough to force this bird down from its mountain home. After enjoying some smashing looks at a very handsome Gray-crowned Rosy-Finch I positioned myself at the end of the jetty for a bit of sea watching. There were quite a few birds out there; though most of them were quite distant. A group of three Common Murre was of note as well as good numbers of Red-throated Loon. My walk down the jetty turned out to be quite enjoyable; despite almost freezing to death. 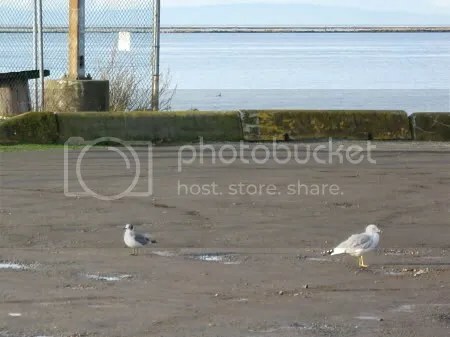 On Tuesday afternoon (16 Nov) I found my self at the Tsawwassen ferry terminal jetty after spending the morning at Reifel Bird Sanctuary. The water on both sides of the jetty was packed with birds; particularly waterfowl, of which there must have been at least a few thousand birds from a decent assortment of species. Horned, Western, and Red-necked Grebes were also present as well as a fair number of Common Loon and at least one Pacific Loon. 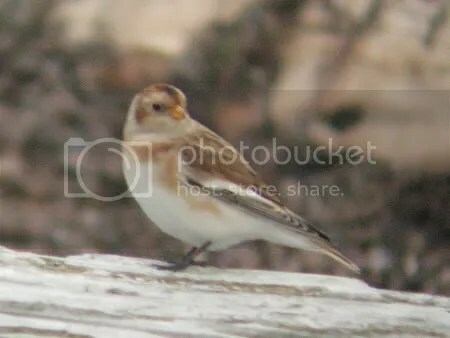 It was on my way off the jetty, however, that I came across two Snow Buntings on the shoreline of its southern facing side. Both birds, an adult and first winter, were foraging, preening, and resting roughly 500m from the jetty’s base. 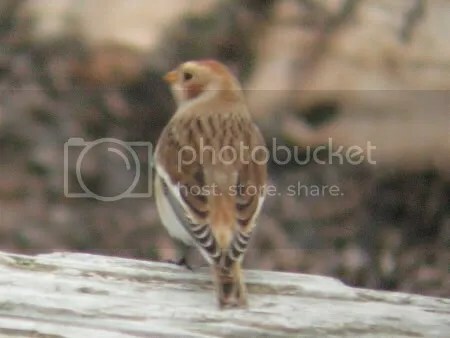 I was in a vehicle and only spotted them when I was right on top of their position but luckily both birds stayed put; a far cry from my first Snow Buntings of the year at Iona’s south jetty. On the 30th of October I put in almost three and a half hours of careful scanning along the jetty’s entire length and the result was just a few minutes with a single Snow Bunting. The birds on the Tsawwassen jetty were quite cooperative giving me about 15 minutes of great views before they were flushed by a person walking their, off leash, dogs. The first winter bird was more apt to be photographed than the adult; who spent most of its time foraging in and amongst the logs and rocks. The younger Bunting was quite content to sit perched atop a piece of drift wood a few metres away from where I sat watching it from the window of my car. 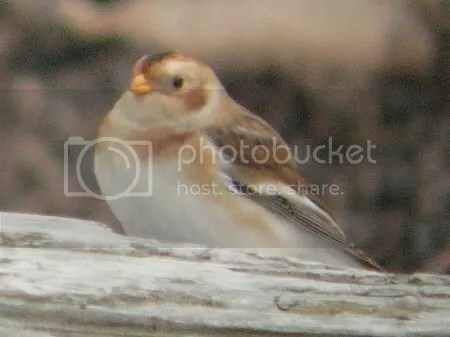 In North America Snow Bunting breed in rocky areas of arctic tundra stretching from Alaska, across the northern limits of Canada, to Greenland (1). Hopefully these birds will spend the rest of the winter in the area before returning north to be the first migrants on the tundra in early spring (1). On Thursday (11 Nov) I went to Terra Nova Rural Park in Richmond for the second time in a week to have another go at trying to track down the Western Scrub-Jay that had been reported in the park since at least November 3rd. My first visit on Saturday was a bust despite spending several hours combing the area, but thankfully after an hour’s worth of searching on Thursday I located the bird in the southern half of the park not far north of Westminster Highway. 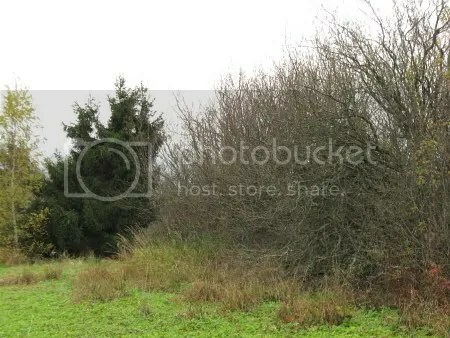 The Western Scrub-Jay was skulking about in a brushy hedgerow that separated a field and an open area comprised largely of a man made hill. 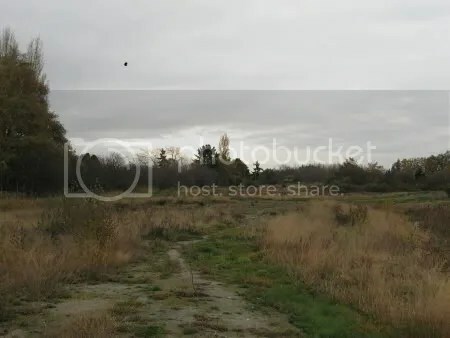 I sighted the bird from the southwest corner of the park right where a trail meets up with Westminster Highway nearby the dyke. The Jay stayed mostly within the confines of the brush; never venturing out into the open for more than few seconds at a time. 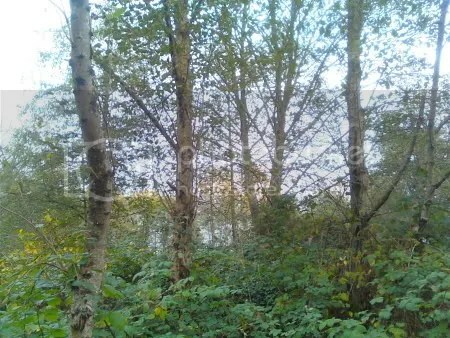 After just five minutes of observation the bird dropped down to the ground on the other side of the bush and disappeared out of sight. I quickly rushed around to the trail on the other side of the brushy hedge, stopping only to admire a juvenile Sharp-Shinned Hawk, but I could not relocate it. The northernmost extent of the Western Scrub-Jay’s range is typically the southwestern region of Washington stretching up to Seattle(1). You can view a map of this species 2010 distribution in Washington on eBird as well as this years sightings in B.C. These birds prefer drier and more open habitat at lower altitude as compared to Vancouver’s regular species of jay; the Steller’s Jay (2). I don’t know about a dry environment but Terra Nova is certainly low in elevation and composed of some nice open field type habitat. Western Scrub-Jay is a very good looking bird and, after dipping on my first attempt, the victory of sighting it was that much sweeter. Smith, M. R., P. W. Mattocks, Jr., and K. M. Cassidy. 1997. Breeding birds of Washington State. in Washington State gap analysis-final report. Vol. 4 (Cassidy, K. M., C. E. Grue, M. R. Smith, and K. M. Dvornich, Eds.) Seattle Audubon Soc. Publ. in Zool. no. 1, Seattle, WA. Sunday afternoon proved to be sunny with some clouds so I put aside my schoolwork and went birding at Maplewood Conservation Area. 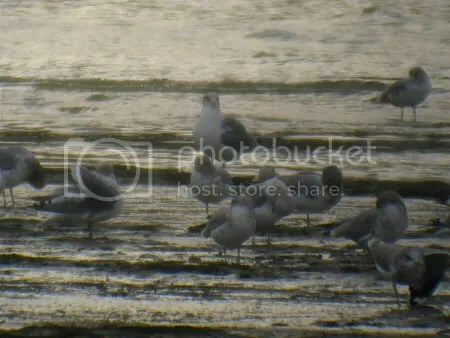 The tide was coming in when I arrived at the mudflats and the birds were positioned perfectly for observation with my scope; not too far out so as to strain the resolving power of ones eye, but distant enough such that a human presence doesn’t alter their behaviour or movements. 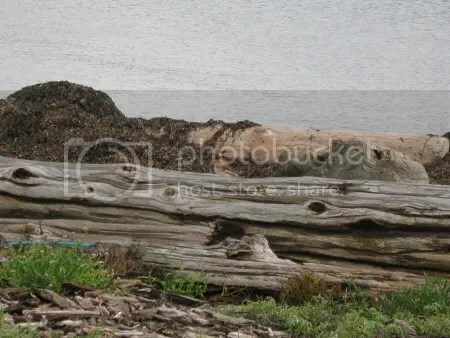 Right in front of the log where I was seated a group of Greater Yellowlegs foraged in the shallows. They hung around long enough for me to attempt some video by handholding my camera up to my scope’s eyepiece. Also present at the mudflats was at least one drake Eurasian Widgeon. I didn’t have time to scan the entire flock for others as a Bald eagle flushed the group; they didn’t settle back down but instead continued flying west. Luckily the gulls decided not to flee the area entirely; interspersed amongst the Mew and Glaucous-winged Gulls were a handful of California Gulls. On my way out I had the pleasure of watching a very late male Black-throated Gray Warbler flitting about in the trees nearby the bird feeders. Looking at eBird, I see that my sighting is the only one ever reported in November for the province! It’s also clear that the fall migration for this species appears to have petered out by mid October. I wonder what held this little guy up? 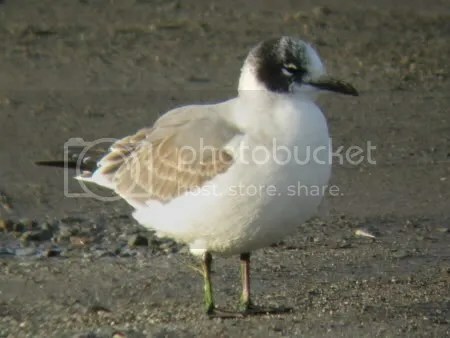 After learning that a Franklin’s Gull had been present in the Steveston area of Richmond for at least a few days I decided to make a detour on my way to Iona last Saturday (30 Oct) in an attempt to locate it. I had dipped on an earlier sighting of this species at Maplewood Conservation Area in July so I was quite eager to get a second chance at a look at this particularly beautiful gull. 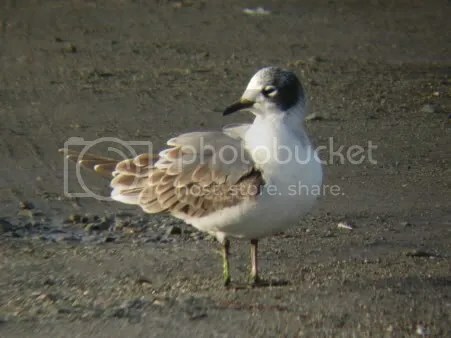 The bird had been reported in the vicinity of a fish and chips restaurant called Pajo’s at Garry Point Park. It’s been a few years since I’d eaten here but I do recall a large number of gulls pestering me and the other patrons for a handout so it seemed like a decent spot for a gull to try and make a living. 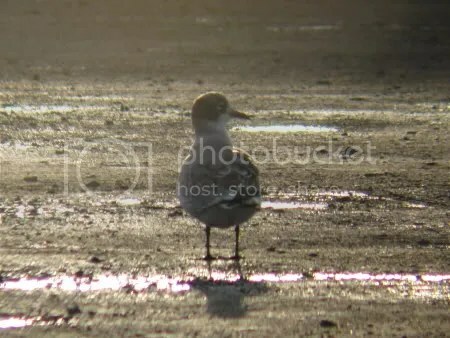 I arrived at the gravel lot just in front of the restaurant not long after sunrise; it was closed and from the vantage point of my vehicle there wasn’t a Franklin’s Gull in sight. After I’d finished drinking my morning tea the thought occurred to me that I should step outside and see what was going on behind me; lo and behold the bird was there! It was hanging out with a couple of Ring-billed Gulls in the center of the lot occasionally resting but spending most of its time preening. 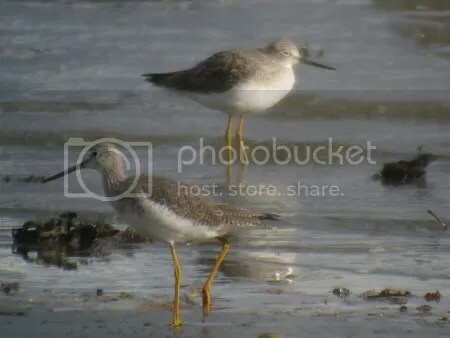 In Canada this species breeds in the freshwater marshes of Alberta, Saskatchewan, and Manitoba (1). In B.C. breeding was suspected, but not confirmed, in the eastern part of the province during the 1980’s but so far the B.C. Breeding Bird Atlas has only recorded “possible” instances of breeding in the Peace River region (i.e. species observed in breeding season in suitable nesting habitat) (2). During winter the majority of the population can be found along the Pacific coast of South America (1). 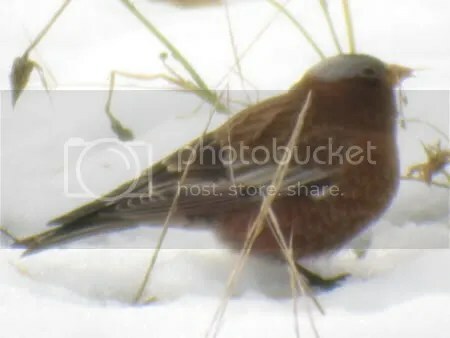 I wasn’t the only one to see this bird over the weekend: Rick Wright made it out later on that same day and Paul has posted some excellent shots of the bird from the 31st on the Birding in BC forums. Campbell, R. W., N. K. Dawe, I. M. Cowan, J. N. Cooper, G. W. Kaiser, and M. C. E. McNall. 1990. The birds of British Columbia. Vol. 2. Royal British Columbia Mus. Victoria. I swung by Maplewood Conservation Area on Friday afternoon (29 Oct) while on my way home from school and, just as I was leaving the place, I had the distinct pleasure of watching a Northern Pygmy-Owl catch a Black-capped Chickadee in the trees nearby the bird feeders at the entrance. Maplewood is a good spot to see this species in the Vancouver area and, if you have a look at eBird, you will see that just about everyone has seen it there except me. It’s not from lack of trying that I had yet to see the bird; I’d gone after it on several occasions soon after the bird has been reported and sometimes I’ve even been there on the same day that others have seen it. On Friday I finally caught up with my nemesis bird in a spectacular way! Well, it doesn’t quite capture all of the activity going on after the owl made its kill but at least you can kinda hear the birds screaming bloody murder. It must have been about 30 seconds or so after the owl dived into the bush that it re-emerged with the chickadee in its talons. It flew up to a branch about 3m above the ground in the tree just by the bush where it sat for about a minute just resting. 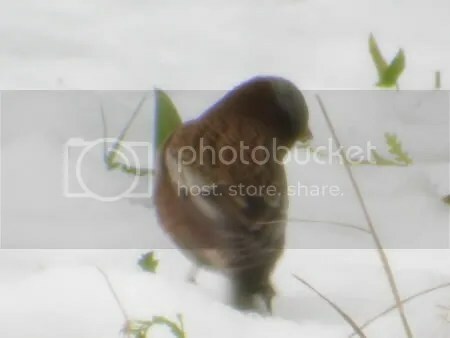 I would imagine that carrying the chickadee must’ve been a bit of work for the little owl. Black-capped Chickadees weigh between 10 and 14 grams and Northern Pygmy-Owls between 60 to 70 grams so this little owl had to transport roughly 20% of its body weight (1, 2). The bird moved from branch to branch; pausing for up to a minute at each stop. I eventually lost track of it as it flew further away from the path and my position; though a group of chickadees stayed with it continually scolding the bird. The Northern Pygmy-Owl was a great way to wrap up the day particularly since I had spent years chasing this species at Maplewood. After continually missing a bird that others have seen with relative ease one begins to doubt their abilities as a birder. The sense of satisfaction after seeing it was immense!